Today, we are expecting our sequencing results from Genewiz. Once those arrive, we will check the sequences for both the primers and the correct allergen sequence (around 300bps). 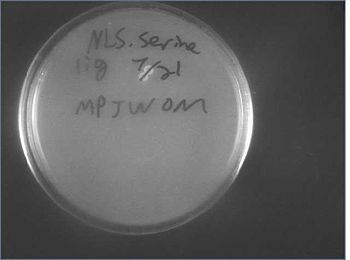 If the sequences are correct, we will go back to our plasmids and cut the intron out of the plasmid and digest the plasmids containing the sense strands with S, P.
PME and Bet v1.1 S did not grow up from the plates, so they were not included in sequencing. 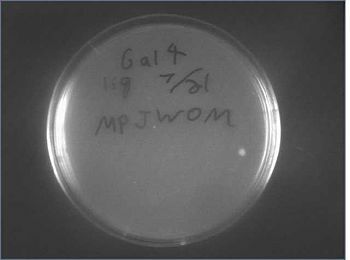 Digest Intron with X, P Fast Fermentas protocol was used. 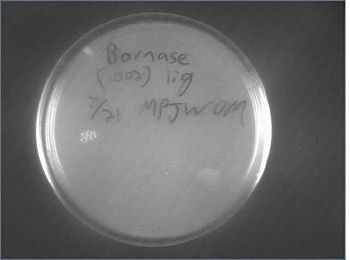 Digest Plasmids with S, P Fast Fermentas protocol was used. Gel electrophoresis of Digested Plasmids We PCR purified the products of the digestion (unnecessarily), losing some DNA. Elution was done with 50μL of EB. Tomorrow, we will run the purified PCR products on a gel and Gel Extract and Purify. Very few to no colonies. Barstar samples 1, 2, 5, and 6 were confirmed to be correct. The LacI sequence was confirmed, however we were unable to confirm the presence of the NLS because of its position at the end of the gene where sequencing results are generally unreliable. (NNNNN) Lac1R and Lac3R were poor matches because of what GENEWIZ calls "Early Termination". Barnase had some serious issues. 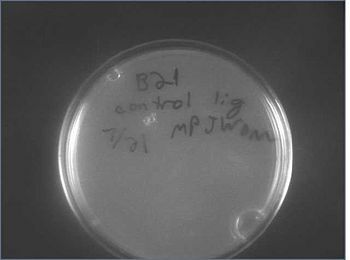 We are re-growing colonies following ligation and intend to submit some new PCR product as well as the original ADDGENE plasmid for sequencing in the near future. The Gal4 DNA binding domain samples 1 and 2 were perfect except for a SNP around 320 (in the case of GAL DBD 1) for our sequence and 223 of the biobricks sequence. Gal4 DBD sample 3 was unsuccessful. File:722pcrexp2sucess.jpg FINALLY! EXP2 PROMOTER AMPLIFIED! Fragments were gel isolated and purified using the QIAgen Gel Purification Kit with the Gel Extraction protocol using a microcentrifuge. This page was last edited on 26 September 2017, at 19:19.